Just visiting Tallinn, Estonia, would be a mistake — the country’s capital city is charming, however, getting to know the real Estonia requires exploration beyond the city limits — and traveling to one of Estonia’s incredible manor houses gives visitors a taste of the true culture of the country. Beyond mainland Estonia, the country is home to a beautiful archipelago. 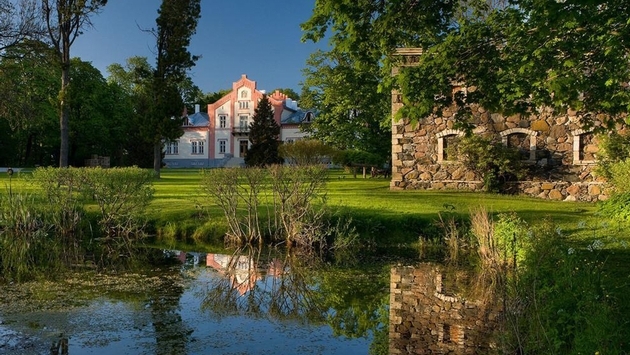 Head to the centuries-old Parasite Manor on the island of Muhu for a five-star stay in a luxury hotel and spa. There are 24 guestrooms, offering stately accommodation in cosy spaces in the coach house or stately rooms in the manor itself. 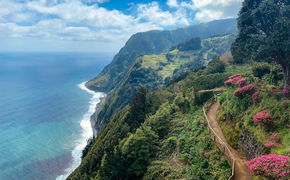 Visitors can do nothing but relax and enjoy the sprawling grounds or cycle along the coast, take a boat trip, plan a picnic on the Island of Love and more. For those who want to cozy up somewhere this winter, the Maetaguse Manor Hotel & Spa is a three-star property providing 24 guestrooms with Scandinavian decor. The spa is a highlight and there are beautiful pools an saunas, including Finnish, steam, infra-red and private saunas, perfect for a romantic getaway. Visitors can get out and explore on skiing and hiking tracks or use bicycles and ATVS. There is also a shooting range at the hotel. Located in the village of Mooste on the second floor of the Mooste Distillery, this manor house provides a unique experience. It is the home of the Estonian Photo Tourism Centre, where visitors can use a photo studio, take photography classes and participate in nature tours with on-site photographers. There six rooms in the guesthouse as well as a mini suite. There are also sauna and Jacuzzi facilities and a number of rooms that are good for gatherings and small conferences.